Word has come out of Florida a few days ago that Digital Domain are closing down their new animation studio, Tradition, effective immediately, and will instead focus their California and Vancouver, Canada studios on movie special effects. 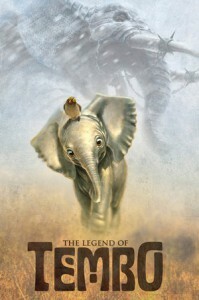 Tradition was an attempt by Digital Domain (a well-known special effects house created by Stan Winston, Scott Ross, and director James Cameron) to follow in the steps of another FX house, Sony Pictureworks, into the realm of animated features (as Sony did successfully with Open Season, Surf’s Up, and other films). Now, 300 people have been let go in Florida, and — from a furry fan perspective, perhaps another sad thing — work has stopped on The Legend of Tembo, Tradition’s first film, which would have followed the adventures of a young elephant. Cartoon Brew have been following this story closely, so check it out — but be prepared for some harsh words.